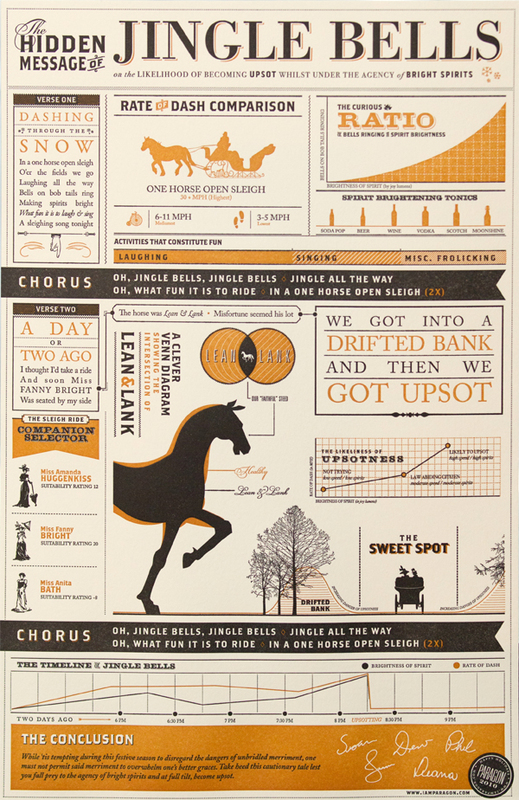 Detailed and funny infographic breakdown of the timeless song, Jingle Bells. Created as our annual “thank you” for clients and friends, we printed a limited number of extra copies for letterpress and infographic nerds like us. POSTAGE WITHIN THE US INCLUDED.